Awesome Toast! | How to downgrade to iTunes 10.7 from iTunes 11 [OSX – Even Mavericks! 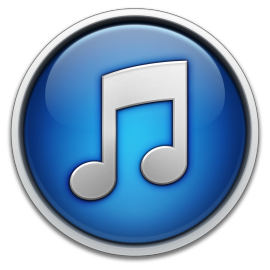 *] How to downgrade to iTunes 10.7 from iTunes 11 [OSX – Even Mavericks! *] – Awesome Toast! iTunes 11 is out, and most people seem to think it’s great. You and I are different, however. We hate it, and we have our reasons. (Mine happens to be the inability to skip tracks while Repeat One is on. Yup, deal-breaker for me. UPDATE: Fixed that!) So let’s make things right again. First, you’ll need a backup of your iTunes Library.itl file, found under ~/Music/iTunes. Fortunately, I backed my library up right before installing iTunes 11. Note that any new songs, apps, etc. that you may have added since installing 11 will need to be replaced. In my case, I used the “Date Added” feature in iTunes to find which files I had added since November 28, and copied those out into a separate folder. When the downgrade was complete, I simply copied them back in. 2. Now you need an iTunes 10.7 dmg file. Download it from Apple here. That last one will need your password and will probably take a minute or so. 5. Choose the Open Package option. Browse to the iTunes 10.7 dmg file. 6. You’ll get a list of files. Select “Contents of Install iTunes.pkg”, and from the top left corner of the app, choose Install. 7. Be careful here! Every time Pacifist tells you a file already exists, make sure you check the “always” box and choose Replace (not update). This should happen around three or four times. 8. You’re almost done. Before running iTunes again, make sure you have recovered your “iTunes Library.itl” from a pre-iTunes-11 backup. After that, you should be good to go. But as ever, your mileage may vary. I was dreading Mavericks because it automatically updates iTunes to 11, and this is frankly unacceptable for some. Thank goodness this method worked like a charm this morning! I had 10.7 back in about 5 minutes. There was only one hiccup: Use this version of Pacifist (3.0.10)! For some reason, the latest version (3.2 as of this writing) would not install the package. Also, if you just installed Mavericks, don’t open iTunes! If you do, it’ll update your iTunes library files, and you’ll have to restore your old ones from a backup after you install iTunes 10.7. But if you never open iTunes 11, they won’t be changed, and you won’t have to restore a thing. So it appears that after downgrading to iTunes 10.7, the Mac App Store may become borked in the process — apps will neither update nor download from it. I’m not sure if this is just because Mavericks is fresh and will get updated by Apple or what. I use the Mac App Store just about never, so I don’t really care, but you might! More details as they become available. If you’ve already installed 10.7 and want the app store back, installing iTunes 11 again fixes the problem. i’ve used Mavericks a few times, generally liked how it feels ( i DO like changing for better, not simply for ”marketing driven different”.. ) but was dreading updating my M.Lion OS because i DEFINITELY want to retain iTunes 10.7 ! w/ my rather large 3TB Library ( 40 years buying music WILL do that to you..) using iTunes 11 is enough of a PITA for me to actually consider dropping Apple & Macs altogether if push came to shove. since i DO like Macs, it’s good to know i can still use 10.7 thus ”hang out” w/ Macs for perhaps a couple more years ? Amen to all of that, Nuno. Like, every single point. have the same problem with MAS. but, if u don’t reboot ur Mac after downgrading, all upgrades and downloads from App Store will work. have found that problem with MAS is caused by replacing CoreFP.framework during installing itunes 10.7 via pacifist. After pacifist have replaced that framework MAS doen’t work. But if we don’t replace CoreFP.framework we get an error -42408 which doesn’t allow to sign up iTunes Store, iTunes Match and etc in iTunes 10.7. But MAS will work fine. So, the problem is in that framework. May be somebody knows how solve this problem? Works perfectly (itunes 10 + Mac App Store) using the solution posted by Art. BYE BYE iTUNES 11 HELLO COVER FLOW IN MAVERICKS ! 10.9 !! All of us POWER USERS ! If you just hate the new MiniPlayer, I rewrote the old iTunes 10 MiniPlayer open-source! This should work for all future versions of iTunes. My kids have all changed to windows and i am going to look them over this year. Apple have gone way too far, too much trouble, problems. UNfunctionality. list getting longer and longer. Itunes makes folders for Musicvideos but you can not view them. Open window in new window???? Mavericks, what happened to that. No options to synch without the cloud. All contacts gone from Mac but still on iPhone???? just gone too far now. Now i start to check out the microsoft stuff. Does this work with Windows 8? I just got a new laptop and want to keep itunes 10.7 or transfer itunes 10.7 from my old laptop to my new laptop. Reinstalled via Pacifist and replaced files. Back in business on 10.9.